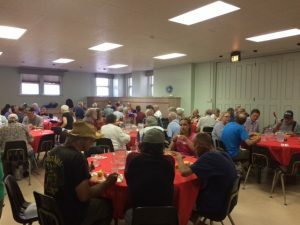 The June 26th Free Community Dinner was a wonderful success once again, with a full house of both regular guests and new ones that are continuing to hear about how good the food is and warm the hospitality! 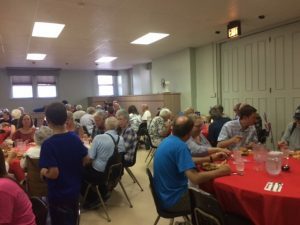 We served a delicious meal of pulled pork, baked beans, coleslaw, watermelon, fruit and dessert. Everything was cooked by our great volunteer cooks and made fresh from scratch! We have just an amazing group of volunteers each month, 25 in all. If you want to know more about our monthly dinners or wish to volunteer, please give Lynda Kizer a call at 303-794-6136. 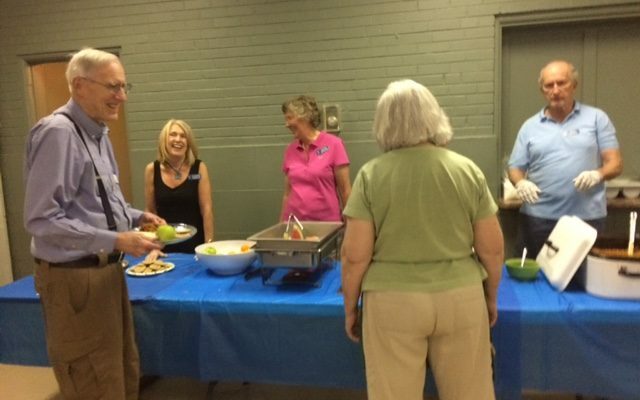 We all truly enjoy serving our community with good healthy food and hospitality. Read more about our Community Dinner HERE. « Vacation Bible School 2018 – See the Fun!